While this blog is dedicated to my adventures as an Indoor Gardener, you'll notice that most of the posts for the past six years have been about the AeroGarden. 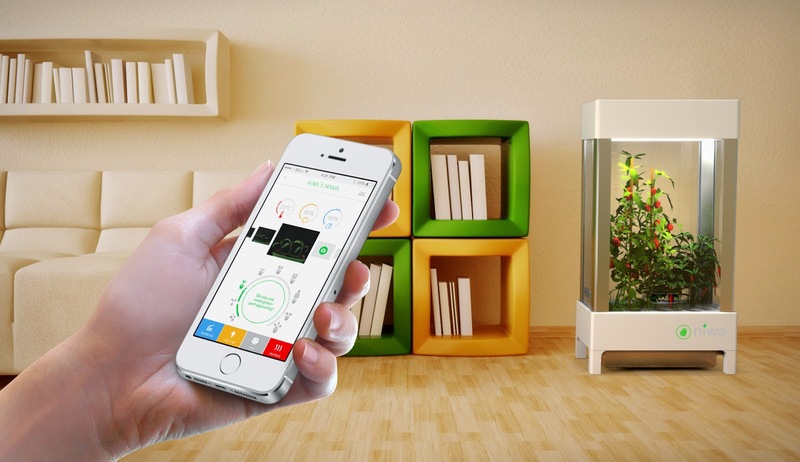 For good reason of course; the AeroGarden revolutionized in-home hydroponics. After a series of marketing missteps, they've recently found a marketing partner in Scotts and seem to be making a lot of great moves in marketing their products and getting them out to the mainstream. Still, after six years of AeroGardening, there are signs that the AeroGarden has hit a wall. The latest straw for me was the failure of my AeroGarden ULTRA. Just to update you from my post a few days ago, I'm still in the process of seeing if I can get Discover to honor an extended warranty claim. But bottom line, for the unit to completely fail AFTER installing a so-called "fix", and only weeks after the one-year warranty expired (on something I paid hundreds of dollars for) is ridiculous. I'll keep you updated on my saga of trying to get a new AeroGarden ULTRA to replace my current one. There are a few other things about AeroGarden I'm not thrilled with. While I started my indoor garden adventures thinking I'd be saving vast amounts of money by growing my own herbs indoors, this savings has been more than offset by the huge recurring costs of getting replacement bulbs and seed pods and motors and growth nutrients. As we've seen with my adventures trying to grow larger vegetables like tomatoes and lettuce, even the tall gardens have their limits. And of course, engineering missteps like corrosion on the metal parts of my AeroGarden 7, failure of the air stones in the AeroGarden VeggiePro, and the most recent issues with the AeroGarden Ultra are frustrating to say the least. 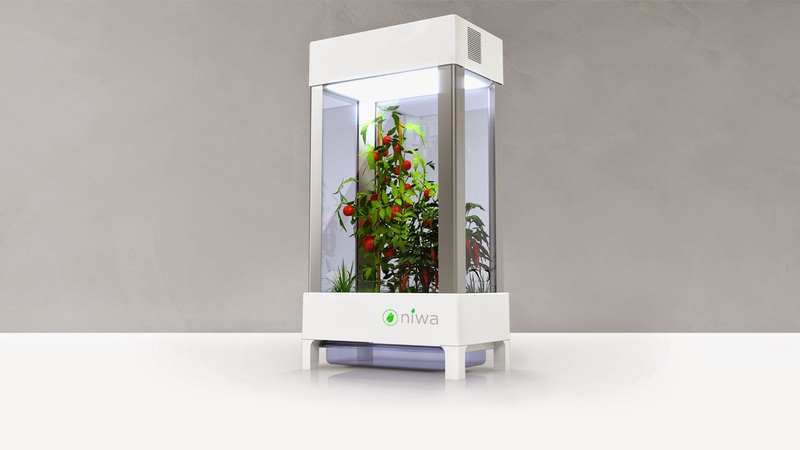 A few weeks ago I had the thrill of getting an email from Aga, an entrepreneur who is behind the idea of something that really has the potential to re-revolutionize indoor gardening: Niwa. I was thrilled when I saw my first pictures of this thing. The most obvious thing is the design--it's beautiful and will be something you'd be proud to display not in a tiny corner of a kitchen but as a focal point in your living room, making it both a productive garden as well as an attractive houseplant. Second, notice the size of this thing. Even on my tall AeroGarden unit the plants would regularly grow into the lights, causing the uppermost leaves to burn and block out the lower leaves. While they're still working out the specs, it looks like there'll be Niwas ranging from 19 inches to 35 inches tall or even taller. This means things like full-sized tomatoes, tropical plants, spinach, cauliflower, strawberries, and more. Third, it looks like they've engineered the unit with advanced hydroponics: temperature control, light cycles, automated watering, and nutrient system. And being fully enclosed using greenhouse technology helps keep your plants safe from household dust, bugs, and other annoyances I've documented over the years. Four, one of the most exciting "21st century" things is that there'll be an app to let you control the hydroponics system. This goes beyond just an app with rotating "tips", but a smart app that'll let you customize the settings depending on what plant you're growing, track and understand each step of your plant's progress, and even customizing the conditions based on what you're observing of the plant's grown. Sound exciting? It sure does to me! You can read more about the story of how co-founders Aga and Javier came up with the idea here, and if you'd like to get in on the ground floor, they're launching a KickStarter campaign on May 12, 2014 (update, the Kickstarter campaign is now live), where you can get all kinds of bonuses by pitching in and helping fund the project as it goes beyond prototype stage into development and shipping. If you're an indoor gardener, it's a great opportunity to get in on the ground floor of what could be a new revolution in at-home hydroponics. Doesn't look like the kickstarter campaign got kicked off. Did you find it? I didn't. Yes, the Kickstarter campaign is live here. I'll update the post accordingly. Amazingly, in just 24 hours they're already more than a quarter to their goal! Here's hoping they continue the momentum!